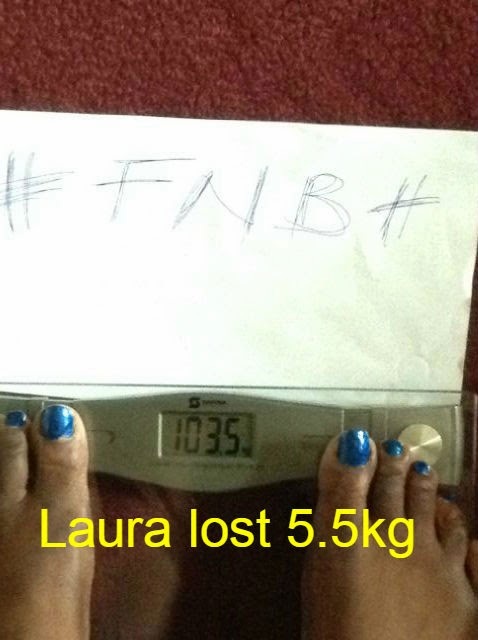 The Fuel and Burn (#FNB) weight loss challenge; Results after week 1. 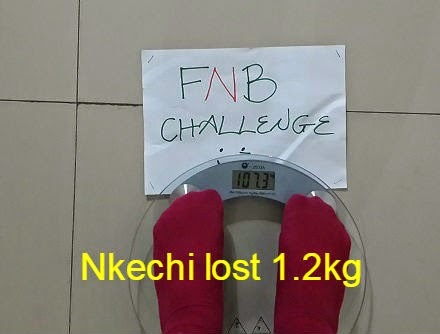 Testimony: My brothers and sisters, help me to thank God for a former contestant (the #workit challenge) who is now expecting! (She is pregnant) Not sure she wants me to mention her name, they have been trying to conceive for 2 yrs now. 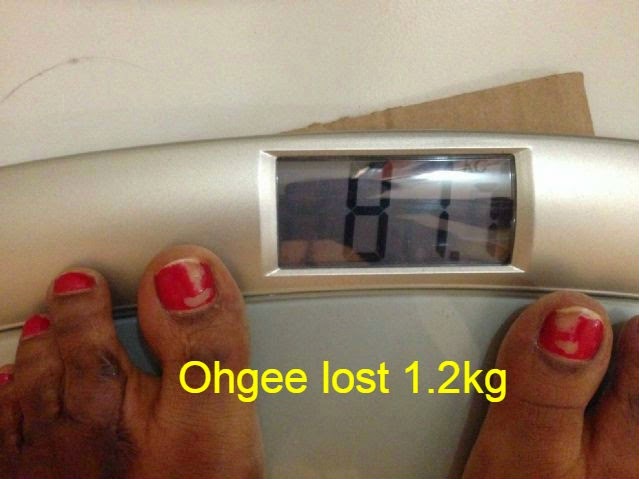 She had some hormonal imbalance, but exercising and a healthy diet changed all that. Woohooo! It is the Lord's doing and it is marvelous indeed. I wish you a nice and enjoyable pregnancy, with a quick and safe delivery in Jesus name. Welcome to another week of blessings and favor from the almighty. How was your weekend? Please share in the comments. Mine was slow, my mobile network dealt with me chieee!! See, I don't know how to pack and keep plenty "networks", "just in case", you know what I mean? Its just not me, I like to stay faithful to 1. Well, thank God I managed to overcome. Woohooo!!! 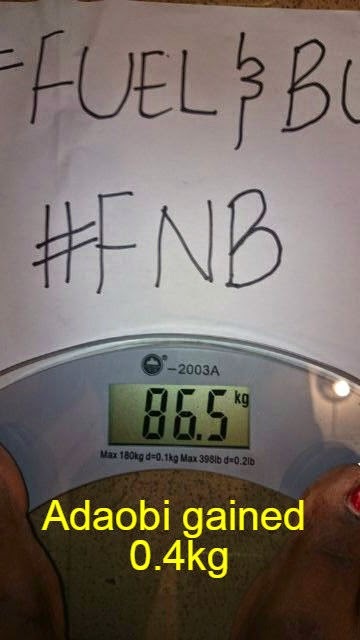 We have come to the end of the first week in our #FNB weight loss challenge. OMG!!! The results are fantastic! I hope the ladies continue this way with so much determination and courage. 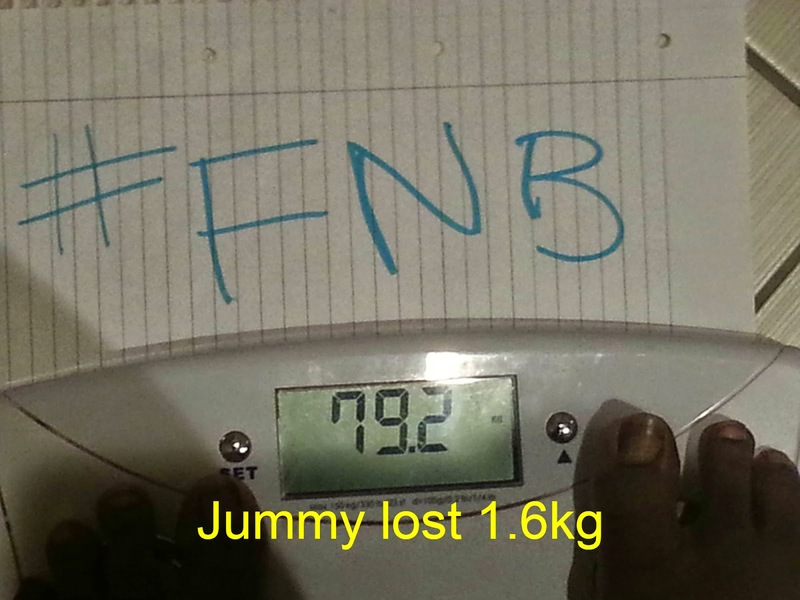 It takes a lot to make the decision to lose weight, not to talk of sharing it with the public. More power to you ladies! 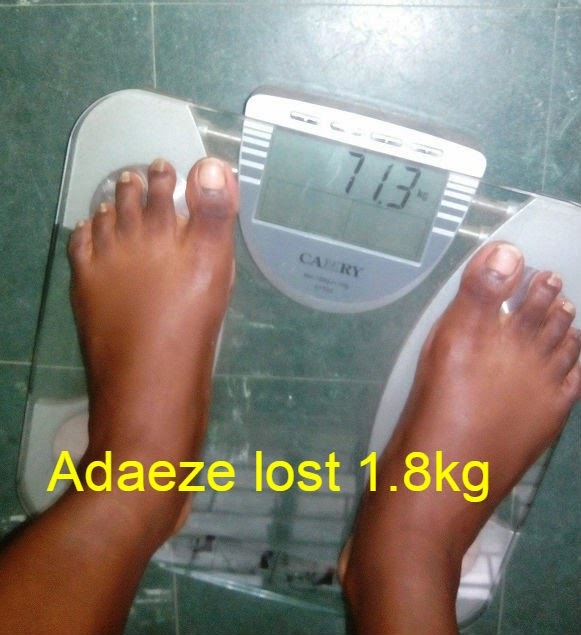 Adaobi weighed herself after breakfast. 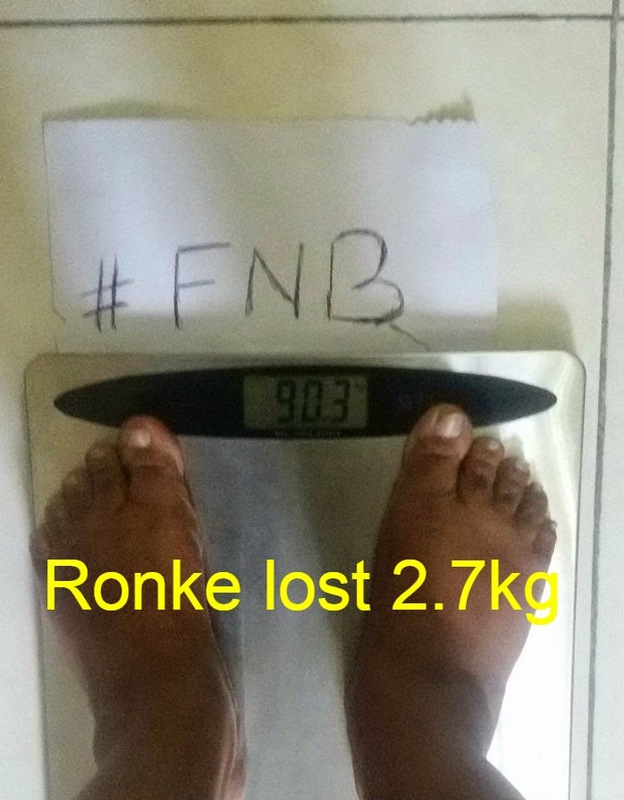 For better results, weight after a good poop in the morning with no clothes on. Just before breakfast. 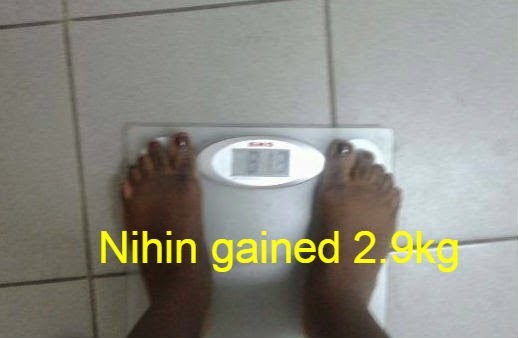 Nihin used a bad scale. 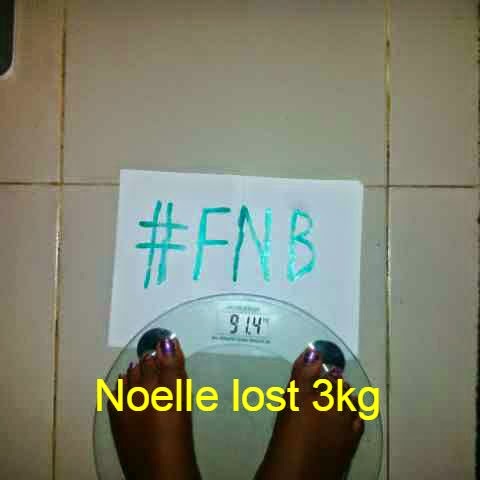 I will make this excuse for her, hoping that next week she gets a good scale. 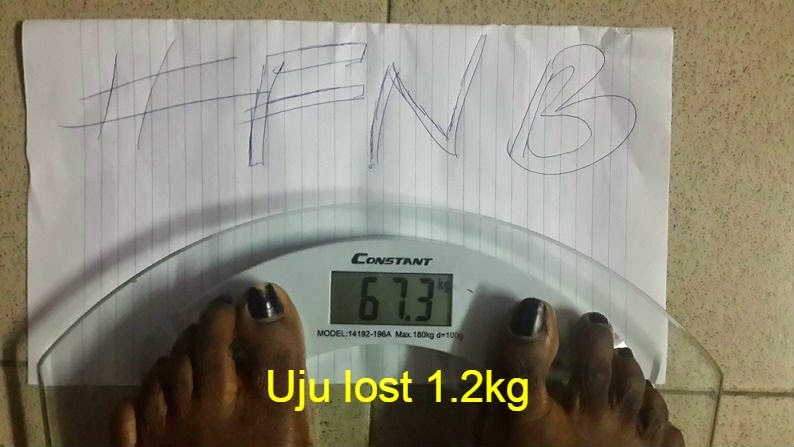 In the beginning its all about losing weight and looking good in clothes, it soon becomes more. Its a journey to self discovery, a journey that changes the mind, thoughts and actions. It becomes a whole new story. 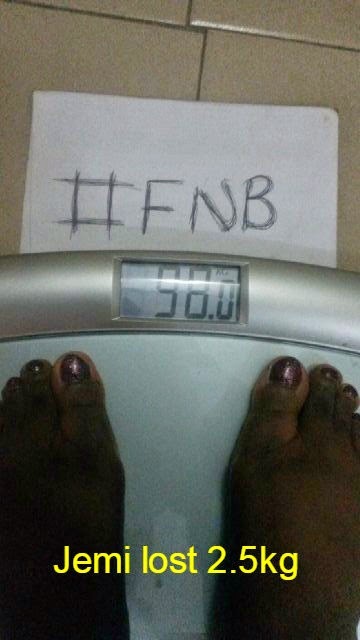 I pray these ladies get to that point soon. We continue this week with clean and healthy eating and loads of exercises. We hope to get great results by the end of this week too. Keep it up girls, I am so proud of you. Your hard work has paid off, but there's more work to be done, and its gonna get really tough, no be lie. Stay strong, You know I love y'all!! Ok, I'm now fired up more. More work and lose more!!!!! 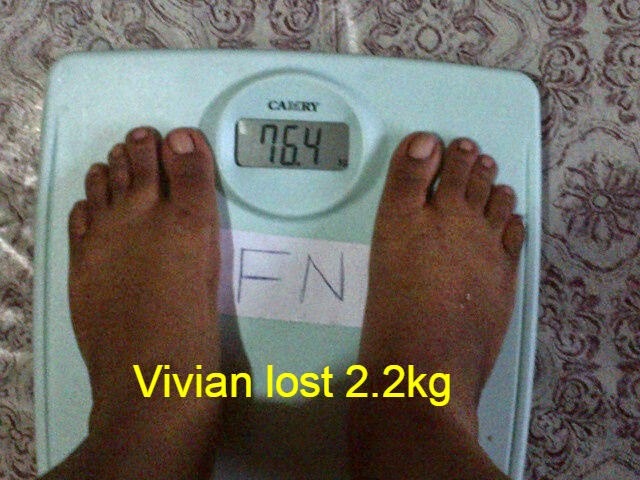 Great job Vivian. Keep it up! And congratulations to the former contestant who is now pregnant God is great! He who did it for you will do it or others looking for the fruit of the womb Amen.. Wishing you a stress free pregnancy. Yes it is Gifted. Even more. But, it also depends on how big the person is. The bigger you are, the more you are likely to lose. Amen to that prayer. Thanks, God bless. 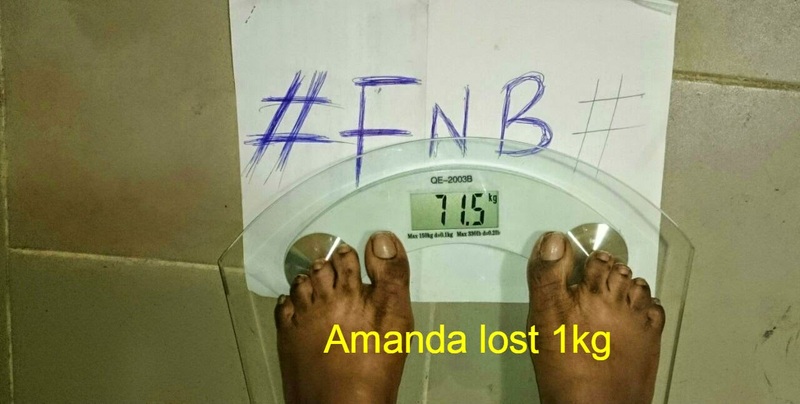 miss cheliz can i get the fuel and burn detox diet plan? is it more interesting than the other detox plan i got off you when i signed on to the food blog? Hey Tola. Yes its a bit different. That one will also work if done right. Thanks. yes it is DA. Or chelizruby@gmail.com will be waiting. Thanks. 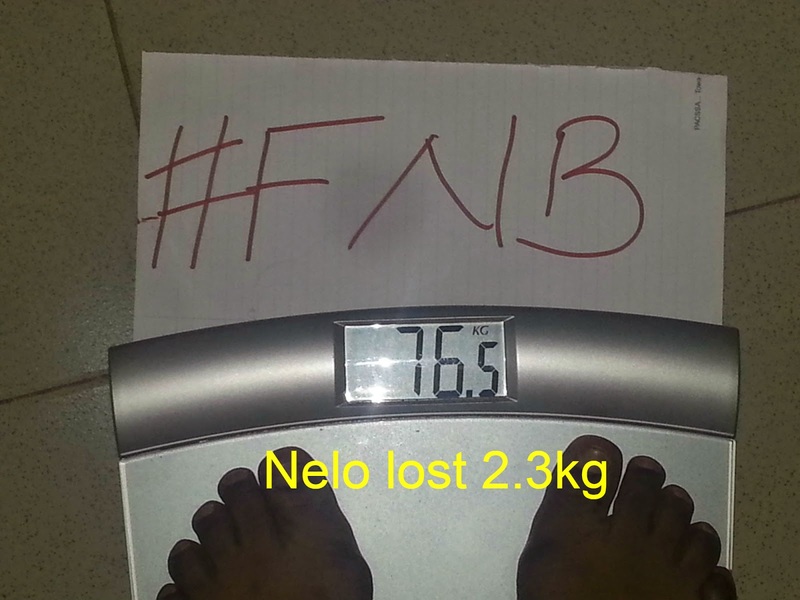 You did great too Nelo. Congrats! Hmm they are here again nd its getting more exciting.. Thanks a lot Becky. Hope u and the little one are bubbling in the Lord? *Kisses! The contestants are doing a great job. Well done to all of them. And Congrats to the expectant mum. Hello Cheliz,great work you're doing on this blog,God bless you....It seems like it's baby season oh! I found out some weeks ago that I am pregnant! Praise God! 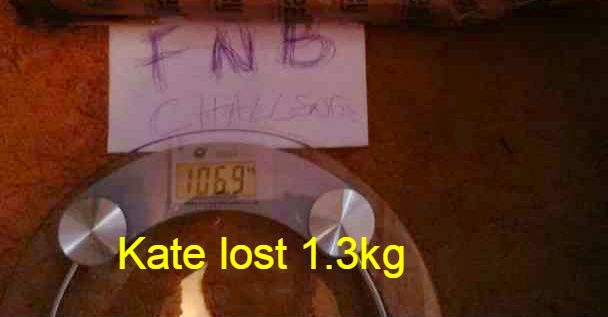 However as someone that has recently lost over 15kg (still not at my goal/ideal weight),I must admit that the fear of weight gain again is tugging on the corners of my mind somewhere .In just one month I've already put on 2kg?!? 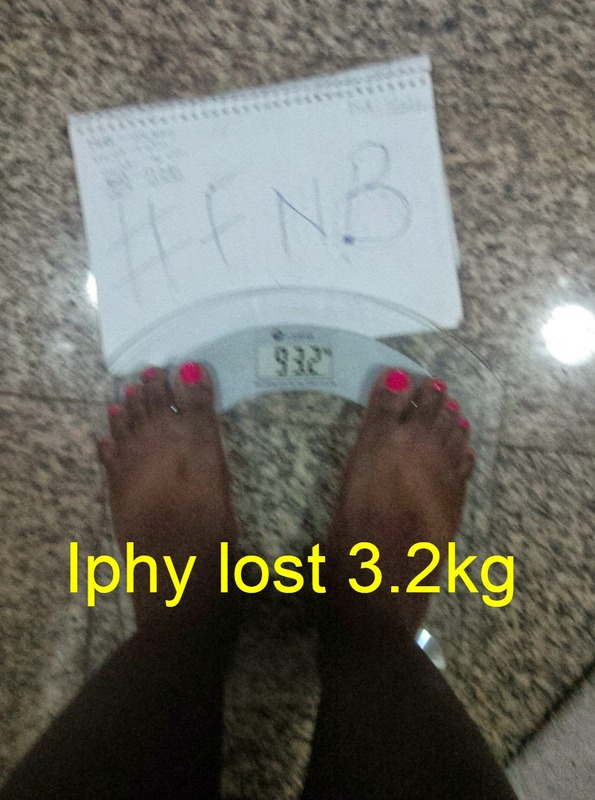 while I understand that weight gain is somewhat inevitable is there anything I can do? Please if you have any suggestions,I'm willing to hear them. Stay blessed. Wow! Congrats dear!! Thanks for the compliment. 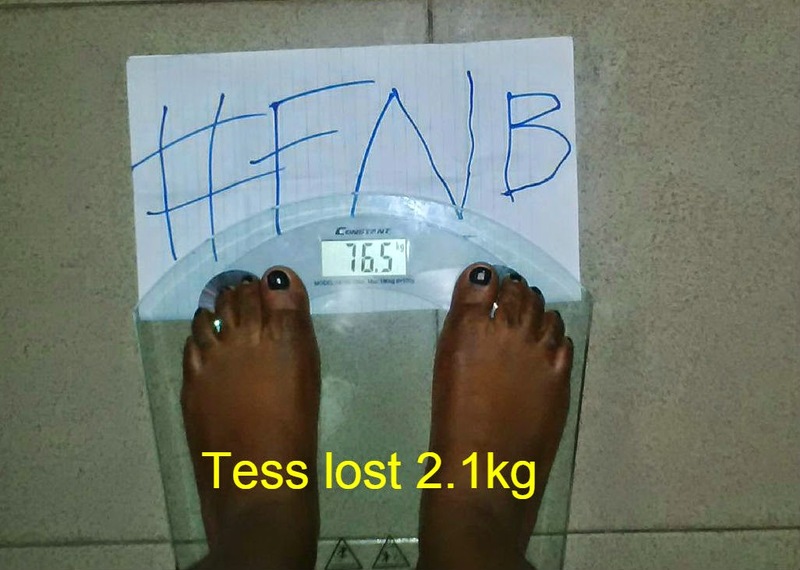 I totally feel you, i did a post on somethings that every pregger shud know and do, see here; http://theshapecube.blogspot.com/2014/08/something-for-my-pregger-friends.html Maybe you can take a look. I wud say, you should relax, eat clean and always a balanced diet, exercise when you feel strong enough and try not to give into your cravings so much. 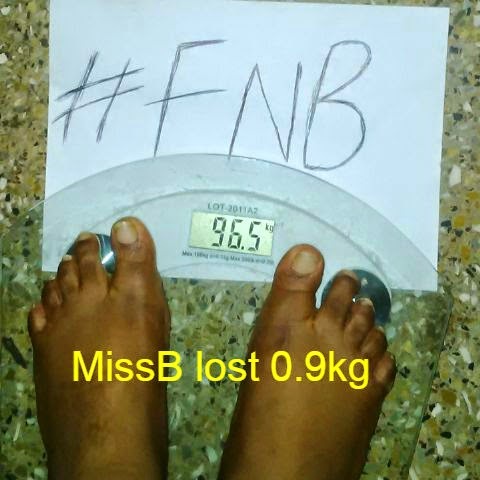 Dont try to diet pls o. Focus on eating well to nourish your little one. God bless you dear and i wish you a safe and snappy delivery.